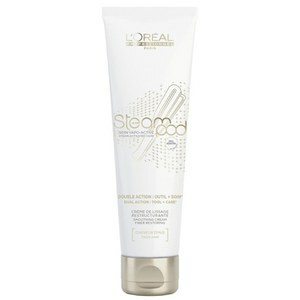 Achieve salon results at home with L'Oreal Professionnel Steampod Sensitive Thick Cream, a heat protective formula designed to be used in conjunction with the innovative Steampod hairstyler. Suitable for pre or post heat styling, the pro-keratin enriched cream delivers a protective shield to leave hair smooth, soft and frizz-free. Hair feels truly protected and ultimately sleek. - K.N.